September of 1973 had some amazing album releases including Bruce Springsteen’s sophomore release; releases from Poco and Uriah Heep when they were at the top of their game; a release from Linda Ronstadt who was on the verge of becoming a superstar; and the first solo album from Art Garfunkel after he and Paul Simon went their separate ways. I bought each of the albums back in 1973 and I love them as much today as I did when I purchased them. In today’s post I feature a favorite song from each of the above albums plus a bonus song/interview/concert that is related to the album in some way. So……step into my musical time machine while we travel back to September 1973 and enjoy some great music……. My featured song from Bruce’s second release is New York City Serenade which I think is Bruce’s most beautiful song ever. It was an amazing accomplishment for such a young songwriter/musician/composer. 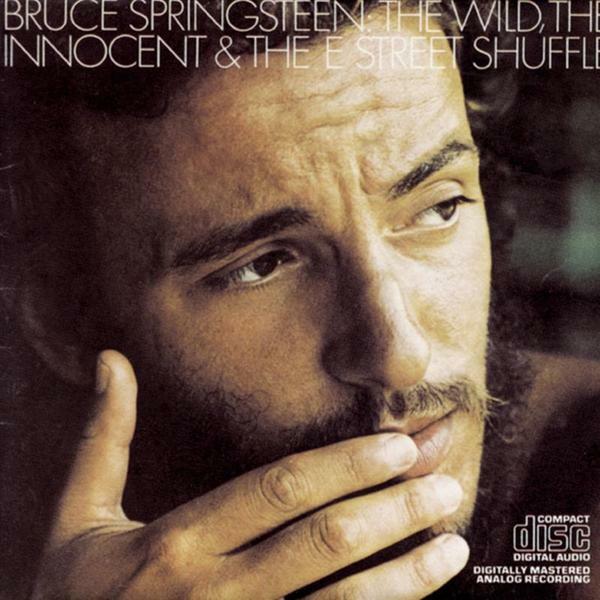 The bonus I have picked out for The Wild, The Innocent, and The E-Street Shuffle is a Bruce concert from 2012 where Bruce and the band play the entire album. This is a real treasure….I hope you enjoy it. Crazy Eyes was Poco’s most ambitious album of their career. The title song is an absolutely amazing song (written about Gram Parsons) and I have selected to feature it today. The bonus I have picked out for the Crazy Eyes album s an interview with Richie Furay about the title song. Sweet Freedom is the one and only Uriah Heep album that I purchased but it was a good one. My favorite song was called Stealin and I have chosen to feature it today. The bonus post for Sweet Freedom is the entire album. If you haven’t heard the album, you really need to take advantage of this and listen today. It’s good stuff! Don’t Cry Now was Linda’s release that preceded her break through album, Heart Like A Wheel. It featured songs from some of the hottest young songwriters and musicians from the Southern California sound school of music. Today I have chosen to feature what I think is Linda’s greatest vocal performance ever, Love Has No Pride. The bonus post for Don’t Cry Now is a version Love Has No Pride that was recorded by American Flyer, a band that featured Eric Kaz who wrote the song. Although I think Linda’s version is the best ever recording of the song, the American Flyer version is great in it’s own way. It features Craig Fuller on lead vocals…. you might remember his voice from Pure Prairie League. Angel Clare was Art Garfunkel’s first solo album. Art could sing the New York city phone book and I would buy it but fortunately for us his first album featured some really great songwriters, including Jimmy Webb. Jimmy wrote All I Know, my favorite song from the album, and I have chosen to feature that song for you today. For his third album release, Watermark, Art chose to release an entire album of Jimmy Webb songs. The first song on that album was called Crying In My Sleep. I personally think it is the best thing that Art has ever recorded and I have chosen to feature that song as a bonus post. Sadly, Crying In My Sleep was released as the first single from album and was not a hit. The album was immediately pulled and rereleased with an additional song called (What A) Wonderful World (not composed by Jimmy Webb) which produced a hit single.